Scientists at Mainz University for the first time prove techniques used to produce ancient glazed beads / Investigations conducted using neutron activation analysis with the aid of the TRIGA research reactor. “We were able to clearly demonstrate that all of the glass beads from the four sites are made of soda-lime glass,” stated Barbara Karches of the JGU Institute of Nuclear Chemistry. The use of sodium to manufacture the glass indicates that the raw glass must have been produced in the vicinity of soda lakes rather than in the inner land. The investigations have also provided important information for historians on industry and technology, trade routes, and the lifestyle of people at that time. The majority of the glass beads studied came from excavations undertaken in the vicinity of Oberammergau. The location at which they were found were within what represented a cult site for the Rhaetians who once settled there. The glass beads, which were used as jewelry by the locals, show traces of exposure to sacrificial fires. Other objects found there appear to have been positioned deliberately in definite patterns. 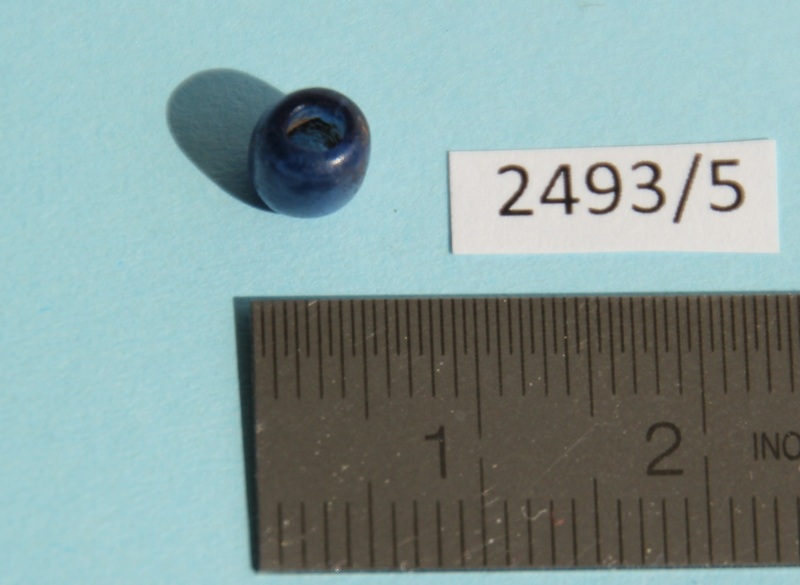 “The analysis of these beads was particularly interesting for us because the items found at the cult site have provided the first clear evidence that this region was already settled in the 1st century B.C.,” explained Christian Stieghorst, co-supervisor of the study. With the help of a technique called neutron activation analysis (NAA), it proved possible to identify the various elements present in the beads from Oberammergau and the other sites at Heimstätten, Auerberg, and Neubiberg. The technique involved exposing the specimens to radiation in the TRIGA research reactor. When bombarded by neutrons, the atomic nuclei of the material under investigation initially become unstable. As they return to their normal state, the nuclei emit characteristic gamma radiation that has a unique profile for each element and can thus be used for identification. “TRIGA as a radiation facility offers the ideal conditions for obtaining a chemical fingerprint of specimens by completely non-destructive means,” stated Dr. Gabriele Hampel, operations manager of the research reactor. The investigations showed that all the beads are made of soda-lime glass with a sodium oxide content of up to 20 percent. This means that the raw material sodium or possibly even the finished raw glass must have originally come from somewhere near a soda lake like those in Wadi El Natrun in Egypt. In antiquity, it would not have been possible to artificially achieve a temperature of 1,800 degrees Celsius, which is the temperature required to melt pure sand to make glass. It was thus necessary to add a fluxing agent to lower the melting point, usually in the form of potash or natural soda. Potash was freely available everywhere and was used depending on the location of the glass manufactory. Potash made from seaweed or plants growing along a coastline contains more sodium because of the saline soil, whereas inland plants contain more potassium. As it is a very complex process to extract the sodium from potash, naturally occurring soda from Egypt was more frequently used. “We were surprised by the unusually high silver content in the Oberammergau glass beads, particularly the unexpected distribution,” stated Karches. These were glazed beads which were manufactured using a two-stage treatment process. The glass inner core was first coated with a thin layer of silver and then with another layer of glass. It was a new insight and one of the more relevant results of the TRIGA investigations conducted at Mainz that silver had been used to produce the glazed beads.